Our Wi-Fi world poses some serious health consequences to all of us. Infants and young children, even the unborn are most vulnerable. I have been doing a lot of research in this area and integrating it into my nutrition practice and I plan to write more about nutrition solutions to counter EMFs (electromagnetic fields) and their effects on our cells. 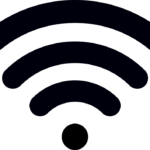 (Wi-Fi is one type of EMF). I am also now working with GIA Wellness patented devices, add-ons for your cell phone, computer and other tech devices for additional Wi-Fi protection. The proprietary GIAplex technology (patented, passive noise-field technology “MRET” developed by a US military contractor, plus bio-friendly Energy Resonance Technology ERT ) neutralizes the effects of your exposure to harmful electromagnetic radiation, while supporting the body’s resilience to stress. The MRET technology was recently featured in a highly popular documentary called “The Truth About Cancer”. So how can You reduce your exposure to Wi-Fi? Keep your smart phone on “Airplane” mode most of the time. Do not work with a laptop/iPad on your lap. Unplug everything in your bedroom at night. Use a wired Ethernet connection for Internet on your laptop (rather than Wi-Fi). Use a headset that is not wired (wires attract and amplify EMFs)—use an airtube headset, instead. Replace your wireless devices with wired versions. “A recent study sent shockwaves through the scientific community. In May 2016, the U.S. codes, of the National Institutes of Health, released the results of a $25 million nine-year study. The results found an increased occurrence of rare brain tumors (gliomas) and rare heart tumors from exposure to microwave radiation from cell phones. The article also cautions that The World Health Organization has classified EMFs as Group 2B Carcinogens which means they are possibly cancerous.